I’m quite pleased with it – it’s even prettier in person than it is in the photo. And at the sett I’m using, I should have just enough for a 60″ scarf. Not so pleasing is shaft #17, which has started floating again. I’ve sent an email to AVL asking for suggestions on how to fix it. They’ve been great at answering my support questions on a timely basis, so I’m hoping to get an answer back today. I’m really hoping it does not involve ordering extra parts – fortunately I live practically on top of AVL, but it would still mean delaying work on the scarf by two days. I’m guessing I’m about halfway done. Each skein goes quickly, even though I have to wind each pirn twice. The paper pirns are wonderfully inexpensive to make, but they collapse when winding from a skein at high speed. 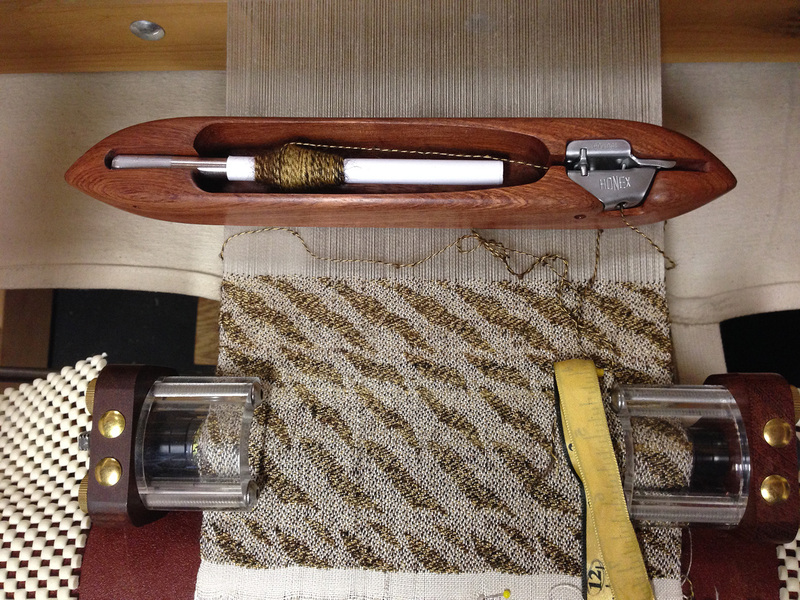 So I am winding onto throwaway pirns and then re-winding onto a different pirn. The whole process takes about eight minutes per skein. 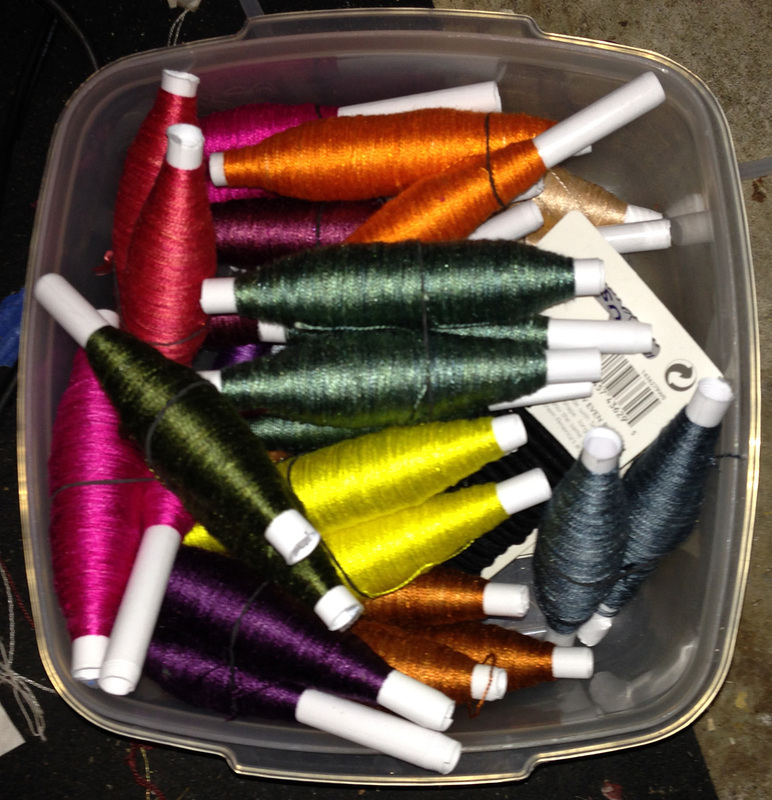 There are 45 or so skeins, so winding them all will take about six hours. But how could anyone not fall in love with colors like these? 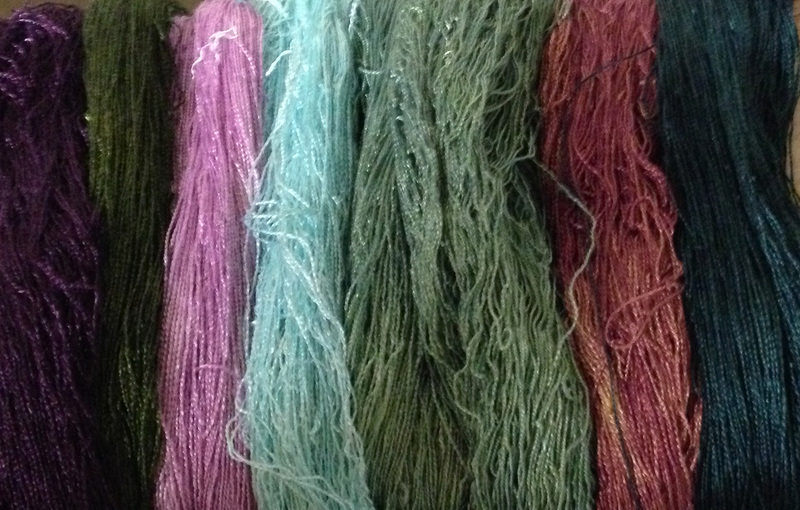 Dyeing these muted skeins has made me take another look at color and it’s usage. 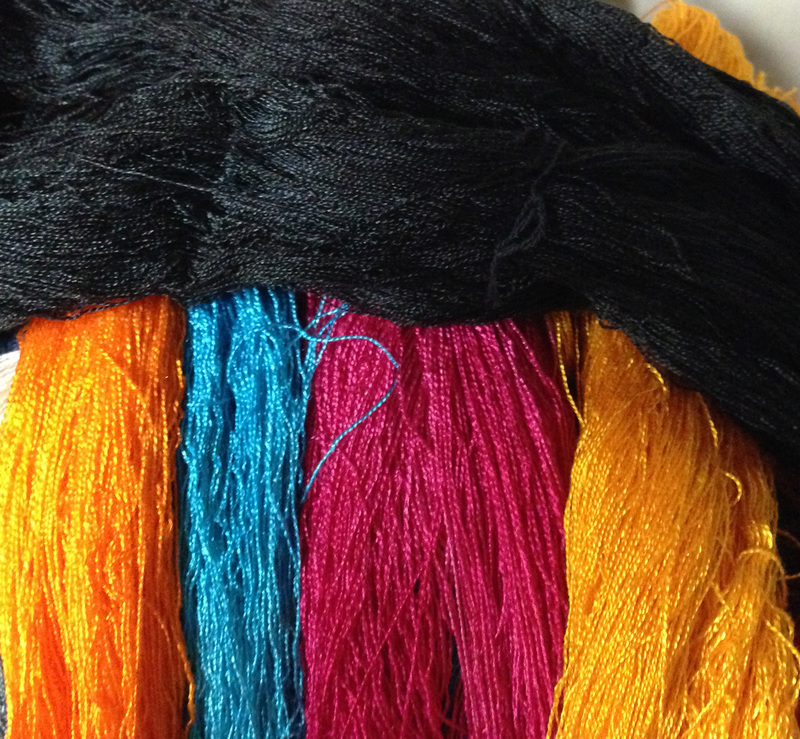 I’m looking forward to weaving up the color study, and getting a chance to use these lovely muted colors. And, finally, watch the hunter become the hunted in the wilds of our master bedroom, as Tigress pounces on a paper pirn, only to be stalked by Fritz.